You probably notice condensation on windows in winter months, when it’s cold outdoors. You often get frost on the outside or condensation on inside of windows. You’ll especially find window condensation overnight when everyone is home and heaters are running to keep your family and pets warm. And in the summer, with cooler temps inside and hot, muggy outdoor temperature, the same phenomenon occurs. Over time, the problem of dew and fog on your inside glass can compound to the point where water accumulates on the inside of your windows. What’s worse is the moisture builds up and soon, water droplets form and drip down. This dripping becomes an issue as it can cause water stains or mold, and even permanent damage to your sills and flooring if rotting occurs. If you’re really lucky, and you have a thirsty cat, he or she will let you know how bad your window condensation problem is by licking the accumulating moisture off the glass. Yuck! Let’s take a look at how we combat this problem and eliminate its ill effects in your home. What causes water condensation on your panes and how do you stop it? We know that when you heat your house, you warm the air contained inside. This warmer air holds more moisture than cooler air. When the warm air meets a cold surface, the water molecules from the air get less “excited” and settle down. As they settle, they group together and form visible condensation. And just like a cloud, the accumulating moisture mass becomes lighter than air and gets pulled down by gravity in the form of rain droplets (in simple terms!). When the indoor/outdoor temperature are reversed, the same science is happening. The difference is condensation forms on the outside of your glass. When inside, you’ve created water droplets within your home. This isn’t a good thing indoors, unless you’re washing dishes or taking a shower! So, we need to take a look at how to control this warmer air and also how to remove the colder window surfaces from the equation. Here, we’ll focus on remedies that don’t break the bank. Some tips may not apply to your specific situation, but should be worth considering. 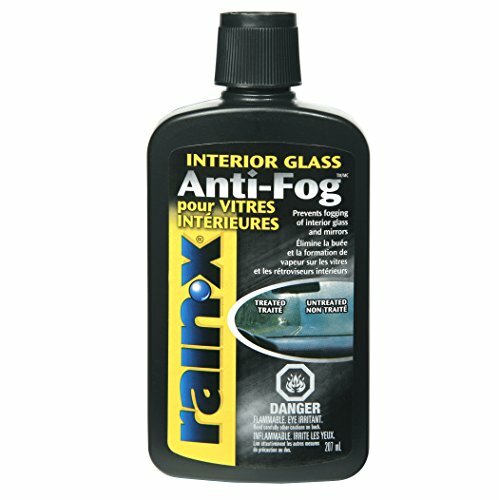 This long-time, trusted product has worked to stop car windows and bathroom mirrors from fogging up for years. The insides of your home windows where heavy fogging occurs aren’t much different. Simply wipe on window glass surfaces until the solution disappears. Reapply as needed. One note is this may not work as well in extreme cold or humid conditions. Amazon sells for cheap – get 2-3 bottles depending on how many windows you have! When applied to the inside of your windows this 100% see-through film can keep glass surfaces free of condensation. It blocks warmer/humid indoor air from reaching the cold glass and fogging/condensing. What’s more is the film obviously helps keep your house warmer too in addition to aiding condensation build-up. This stuff goes on perfectly clear. Check out the reviews at Amazon. This product is also eligible for a tax credit since it helps to weatherize your home. You might also try monitoring the humidity and dew-point levels in your house with a Thermo-Hygrometer – a great little gadget that tells you the current humidity level indoors. 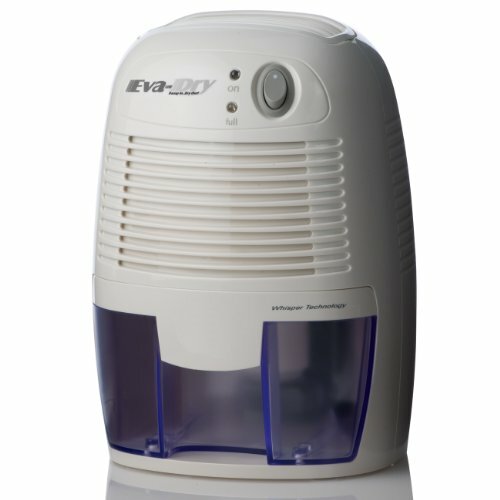 If you really want to eliminate your problem, place a dehumidifier in the room (preferably by the offending windows). This portable unit will remove moisture from the air to the point that it won’t “stick” to your windows any more (as described above). These little machines are quiet, energy efficient and will last season after season – they are well worth the investment. For a little less money and non-electric option you can place a smaller, renewable unit that takes water out of the air without being plugged in. These are designed for smaller spaces like a bathroom, but placing one or two under a troublesome window will certainly cut down on the moisture around your cold glass there. These are great, if you’re going out for the day and want something working while you’re gone. This is the one to get. Window condensation is most likely to occur during colder winter (or spring and autumn) months and usually in the morning hours when temperatures are cooler. If your window fog is temporary, such as only first thing the morning or during a large gathering of people, your fix is usually just to wait it out, unless the condensation starts “leaking” down and off the glass. The best way to disrupt the warm, moist air from moving to and sticking to your cool windows is to disrupt stale air and get it moving. If it’s not too cold outdoors, opening the house up (cracking doors or windows slightly) can be a helpful solution. This allows the relatively cooler and drier air from outside to balance the warmer air around your windows. Now, you might think cracking a window will just make the window even colder and thus more condensation. What you’re really doing is affecting the warm, moist air directly around the glass to cool and allow some humidly to escape outdoors instead of landing on your window glass. In older homes that aren’t sealed as well, this happens already, as cooler air from the outside sneaks in around windows. If you’re getting window condensation, it just means your house is sealed relatively well and energy efficient. You may even have newer or double-glazed glass on some of your windows lending to this. Many times though, it’s best to just turn the house fan on in your forced-air system to move the air around. If you’re already running a furnace/heater though, and the blower is running, flip your switch to continuously run the fan. That means, air will be moving even when heat isn’t coming out. Be sure to have curtains open so the circulating air can move around and help dry up the window condensation faster. If you have a longer-term window condensation problem, then you may need to add a dehumidifier to your HVAC system or get a less expensive portable one. Before getting a dehumidifier though, let’s look at how to decrease the overall humidity in your home. It’s obvious that people’s bodies/breathing, showers, baths and cooking create moisture in your home. To cut down some of these water sources, be sure to run the exhaust fan in kitchens and baths. You can also use a pressure cooker like an instapot to reduce humidity from cooking. The more you have, the more humidity. Every time you water them, you’re creating a source of moisture. And of course, depending on the type and size of plant, our green friends release moisture into the air. Make sure it goes outdoors and is sealed well. Even a tiny gap will push up humidity levels every time you dry your clothes. This may seem obvious, but try not to hang freshly washed laundry to dry indoors. This is a huge culprit of raising relative humidity levels indoors. Inspect that your gutters and drains are all diverting water away from the house during the rainy season. The idea is to keep water away from your foundation. If you can, cover up aquariums with tank covers or cheesecloth to reduce evaporation. Your fish won’t mind! Seriously, there isn’t much you can do about this but it might help explain increased condensation if you have a lot of company over. Most likely, the concrete beneath your basement floor and behind the walls has a vapor barrier. You can go an extra step with a barrier of your own — seal surfaces by painting or coating with concrete sealer to help keep moisture out and lower your relative humidity in your house. Once we can get air circulating and reduce the humidity levels, the next thing to look at is keeping the surface of those windows as warm as possible. As we’ve learned, if your windows can be warmed directly on the inside and win the battle of the cold on the outside, you can say bye-bye to the condensation. In many cases, our home’s heaters just can’t get the necessary heat onto the surface of the glass. You may have a register blowing warm air in only one section of the room. Or you have a radiator style or baseboard heater that really only heats up the air around it. With any home heating system, the ambient room temperature may rise, but it’s no match for the ice cold penetrating your glass from the outside. So another extremely effective solution is to get a tower-style space heater. Simply aim it directly at the worst window and warm that glass up directly. This is exactly how a car’s defroster function works. The tower style like the one pictured below ensures a safe and efficient way to reach the glass of the windows – no balancing small heaters on table tops or the like. 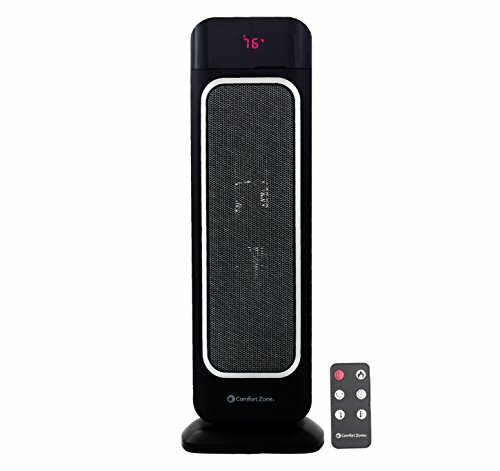 Tower style portable heater to point at cold windows with condenstion. The best part is your not wasting electricity or heat because the space heater will be helping to raise the temperature in the room as well. Another great choice especially if your home is older is to install double or dual-pain (or even triple-pane!) windows. You can also add storm windows to the outside. Both of these solutions are a bit more pricey, but they help keep inside glass surfaces relatively warmer. 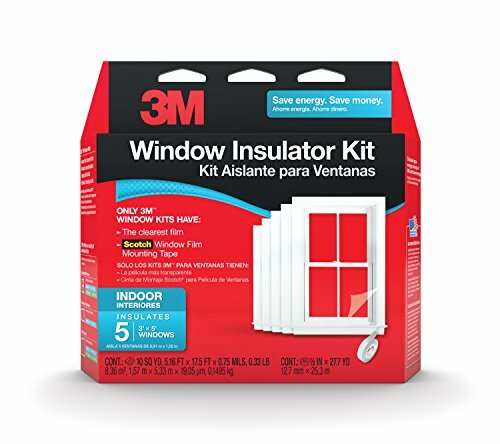 If installing new windows, be sure there is good insulation in your window framing or the walls around where they are. With poor insulation around your window framing, air around your new windows can add to the glass dropping in temperature, which leads to water condensing on the glass or sash. The goal is to have windows stay closer in temperature to the air inside your house. To prioritize when considering budget, try installing storm windows just on the north side (coolest side) of the house. Then can even go over your window screens and be removed in the summer months. Or, if you live in a windy climate install these on the opposite side of the house from where the wind comes from. This had some good information. This helped so so so so so much I have ecessive condensation on my pella windows. I have not done any of the procedures to help reduce the condensation on the windows but i am glad the problem is not just mine and hopefull that some of these techniques will.